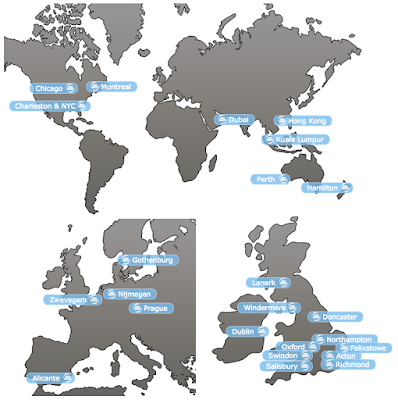 Announcing New SS Coaches In Montreal, Gothenburg, Kuala Lumpur and Felixstowe, UK ~ Feel For The Water! Advice & Tips to Improve Your Swimming. Swim Smooth are very proud to announce the certification of four new Swim Smooth Coaches in Montreal, Gothenburg, Kuala Lumpur and Felixstowe, UK! Training to be a SS Coach is a huge undertaking. Developing the necessary skills and experience of advanced video analysis, stroke correction, squad coaching and open water skills takes time and cannot be rushed. We are fortunate enough to be able to pick our coaches from a large talent pool but even for the most experienced coach, training takes at least 1 to 2 years. Whether you are a complete beginner or elite competitor, when you see a Swim Smooth Coach you can be assured you are seeing a brilliant coach, highly trained with the very best coach methods at their disposal. Anna-Karin loves swimming and has a real passion to pass this on to others. Her coaching offers sustainable, smart and fast swimming for all levels of ability. With a huge breadth of experience and expertise in the latest technology, she guarantees you better swimming, whether you want to swim faster, longer, with more comfort - or all of the above! Anna-Karin was an Olympic swimmer competing for Sweden at the Seoul games. As the head coach and founder of Simcoachen, Anna-Karin runs 1-2-1 sessions, squad training, camps and workshops. She also trains using the Guru herself, swimming and competing in Open Water and Swim-Run races. Shauqie is based in Kuala Lumpur and is our first Swim Smooth Coach in South East Asia. 11 years ago, before open water swimming was popular in Malaysia, he made his first solo swim across the Penang North Channel and entered the Malaysia Book of Records for being "The Youngest to Swim The Longest Distance" at the age of 15. Shauqie continues to be passionate about swimming and shares his experience by coaching adults, taking them from beginner swimmers to triathlon and Ironman competitors. Shauqie offers video analysis and stroke correction services and runs weekly swim squad sessions. After 4 years as head coach for one of the largest triathlon clubs in Montreal, Bart founded "La Swim Squad" Montréal which has been running now for 3 years. It is now the biggest adult squad in Montreal with 5 to 8 sessions per week depending on the season and 150 active members. 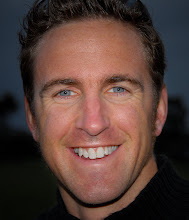 Bart first met the Swim Smooth team for training in California in 2013 and followed up with the training in Perth Australia in 2016 to become the first Swim Smooth Certified Coach in Canada. Bart has spent thousands of hours on the pool deck sharing his passion for swimming with athletes of all levels. If you are just starting out or aiming for the top, don't be afraid to see Bart or join the squad! Born and raised on the North Sea coast, Seamus is an accomplished, lifelong open water swimmer with an infectious enthusiasm for the sport - Felixstowe Swimscapes, the sea swimming group he started in 2012, now has 370 members of all swim types and speeds. Seamus is a sports science graduate, level 2 open water coach and swimming teacher who has been inspiring the progress of swimmers and triathletes from novice to advanced, since 2010. Seamus loves the positivity, innovation and inclusivity of Swim Smooth and becoming a certified coach has been his long-term aspiration. He will now combine his natural passion for swimming and helping people reach their potential, with Swim Smooth’s unparalleled expertise – a handy combination guaranteed to improve your freestyle swimming! Contact Seamus for expert video analysis & stroke correction and bespoke SS sessions for individuals, groups and clubs - and watch out for a new Swim Smooth squad coming to the east of England.